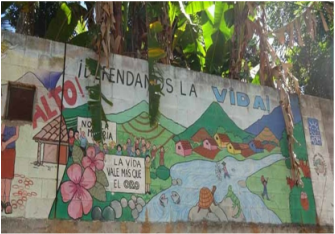 A group of organizations from coast to coast in the U.S., Canada and Autralia that support the Salvadoran people's demand for sovereignty, the right to water and healthy communities. They work in coordination with the National Roundtable against Metallic Mining in El Salvador and communities directly affected by mining projects. Cabañas, El Salvador / Washington DC / Ottawa / Melbourne – Civil society groups worldwide that have allied with Salvadoran communities and organizations working on mining and environmental issues reacted to today’s decision by the controversial International Centre for Settlement of Investment Disputes (ICSID) on the seven-year old case of Pac Rim Cayman vs. El Salvador, stating that “there are no winners” in this case. On Friday, October 14, the tribunal announced their decision that Pac Rim’s lawsuit was without merit and hence that El Salvador will not have to pay the company the $250 million that it sought. “Irrevocable damage has already been done to communities in El Salvador,” says the Salvadoran Roundtable against Metallic Mining (La Mesa). “Pac Rim's presence in El Salvador has fomented local conflict, which has led to threats, attacks, and assassinations. We want OceanaGold, and all the misery it has caused, out of El Salvador, and for the government to enact a prohibition on any metal mining." "This is one of now far too many examples of Canadian mining companies making use of international arbitration to bully governments when their mine projects lack community consent and have not met legal or regulatory requirements. In contrast, communities have no effective means to hold these same companies to account for the systematic and serious harms resulting from their operations", says Jen Moore of MiningWatch Canada. "A mining company that calls itself responsible should not be using mechanisms like ICSID to force governments to do its bidding. Countries like El Salvador have a right to say no to mining without fear of a massive lawsuit", said Keith Slack of Oxfam America. "At a time of water scarcity, it is unconscionable for the global trade and investment regime to deny governments of water-stressed countries like El Salvador the policy space to protect local watersheds and ensure the realization of the human right to water," says Maude Barlow, national chairperson of the Council of Canadians. It is expected that in the coming days or weeks, the International Centre for Settlement of Investment Disputes (ICSID) will issued its ruling on the request for Pacific Rim-Oceana Gold against the Salvadoran State. The publication of the ruling was delayed because late transnational mining company tried in vain a negotiated settlement with the Salvadoran government. Canadian company Pacific Rim, later acquired by Australia's OceanaGold, sued El Salvador for $300 million as compensation for not allowing the exploitation the El Dorado mine in San Isidro, Cabañas. The company claimed that the exploration license granted under the government of former President Francisco Flores automatically assigned the right of exploitation. However, by not complying with environmental requirements and feasibility studies, successive governments of Antonio Saca and Mauricio Funes denied permits. The government rejection of Pacific Rim-OceanaGold also responds to scientific and economic data that shows the social and environmental infeasibility of metal mining in the country due to its territorial extension, high population density and the serious deterioration of water resources. For permits to be denied, it was also key opposition from different sectors of the country (environmental NGOs, the Catholic hierarchy, etc.) and, most importantly, community resistance in Cabañas, where -even- environmental activists were assassinated. Although the Salvadoran defense in the ICSID has expressed confidence in a favorable ruling (since Pacific Rim-Oceana Gold did not present any valid argument), the National Roundtable against Metallic Mining calls to be alert to the danger of a contrary decision the country's sovereign decision not to allow mining. And this fear is not unfounded, because ICSID is a World Bank tribunal heavily influenced by large corporations who use there to extort States when they have no access to their lucrative claims. So all sectors must be alert of the ICSID resolution, to reject strongly any ruling unfavorable to our sovereignty, independence and public interests. No foreign corporate court can define economic policy, environmental protection and the enjoyment of life in our country. he ruling of the Pacific Rim(OceanaGold) Vs El Salvador case should be made public any minute now and many around the world are paying attention and getting ready to react depending on the outcome. Beyond a simple ruling that derives economic benefit for a winning party, this ruling will determine whether a corporation’s profit motive can override the will of a nation and its democratically elected government. Anticipating the ruling, organizations members of the National Roundtable Against Metallic Mining in El Salvador and their International Allies are conducting formal and informal discussions about the most effective ways of responding to the ruling while many other individuals and organizations with interest in El Salvador are getting ready to take action as the information emerges. What we know for now is that the panel that adjudicated the case at the International Centre for the Settlement of Investment Disputes – ICSID, has issued a resolution and it is just a matter of waiting for its translation into Spanish to be made public, possibly in the last week of August. El Salvador’s society is currently going through an intense debate due to the annulment of the Amnesty Law that had pardoned crimes committed during the country’s prolonged civil war.The Amnesty Law had been signed in 1993, after the right-wing military and the left-wing Farabundo Martí Front for National Liberation (FMLN) guerrilla signed ceasefire agreements in 1992, putting an end to 12 years of armed confrontation. The argument waged by those in favor of the derogation of the Amnesty Law is that this would allow to repair victims of the conflict and their families. The civil war left a toll of 75,000 dead and 7,000 missing. However, many have doubts about how the new situation will play out, and fear that judges, who are mostly right-wing, may use this opportunity to politically persecute only the former guerrillas’ side. In an interview with TeleSur, the director of newspaper Resumen Latinoamericano, Carlos Aznárez, commented that, when the Amnesty Law was signed, it benefitted mostly the military side. “The pardon was mostly useful to the right-wing military, because they had carried out a genocide and killed a great number of civilians”. However, Aznárez fears that the annulment of the Amnesty Law may be in fact motivated by a desire to go after the FMLN party, which is since 2009 the ruling party in the country, and even go after President Salvador Sánchez Cerén himself. This scenario “could lead to a soft coup or technical coup”, like the ones that affect many other countries in Latin America. After the armed conflict ended in 1992, and until 2009, the right led the country. During this period “the country entered a crisis in every aspect, there was a strong economical recession”, Aznárez explained. “When the FMLN government began in 2009, they initiated the creation of policies to protect the poorest ones, and to create inclusion. There were and still are important advances. Therefore, this decision is regressive”. Other left-wing analysts celebrate the decision of the Supreme Court, because they regard it as an opportunity to finally trial the military for their numerous crimes against humanity. Laura Embree-Lowry, program director of the Committee in Solidarity with the People of El Salvador, told teleSUR on Thursday from San Salvador that the decision marks a “huge historical moment for the country” and a “victory for the movement for truth and justice” that has long fought for the law to be overturned in order for both the material and intellectual authors of war-era rights abuses to be brought to justice. Terry Karl, professor of political science at Stanford University and an expert witness in a number of cases on human rights atrocities in El Salvador, told teleSUR Thursday that the Supreme Court decision is “very courageous” and “enormously important for the healing and capacity for lowering the levels of violence” in post-conflict El Salvador. She added that the decision helps break apart a “false narrative” and will help the nation to finally, at long last, heal. “To the extent that more truth is uncovered, the chances of reconciliation based on truth are greater,” she said. El Salvador’s Truth and Reconciliation Commission, based on over 22,0000 witness statements, found that the state committed 85 percent of abuses during the civil war, mostly in rural areas. Paramilitaries were found responsible for 10 percent of all acts of violence and the FMLN for 5 percent. The report also identified individuals it accused of serious violations of human rights, including torture. 1.- Declaratoria de inconstitucional la Ley de Amnistía General para la Consolidación de la Paz de 1993, por la violación a los artículos 2 incisos 1 y 3 y 144 inciso 2° de la Constitución. Motivos: La ley es contraria al derecho de acceso a la justicia, a la tutela judicial o protección de los derechos fundamentales, y al derecho a la reparación integral de las víctimas de los crímenes de lesa humanidad y crímenes de guerra constitutivos de graves violaciones al Derecho Internacional Humanitario (DIH). La amnistía es contraria al derecho de protección de los derechos fundamentales porque impide la prevención, investigación, enjuiciamiento, sanción y reparación de las graves violaciones a los derechos. Contradice el derecho a la indemnización por daño moral. Obstaculiza e impide precisamente una forma de reparación o remedio. 2.- En los Acuerdos de Paz firmados de 1992 y en los acuerdos que le precedieron, no se hizo ninguna alusión expresa a la amnistía. Por el contrario, en los mismos se pactaron cláusulas tendentes a combatir la impunidad y garantizar la justicia en las graves violaciones a los derechos humanos sucedidas en el conflicto armado. Análisis: La Ley de Reconciliación Nacional contempló que no gozarían de la amnistía, “las personas que, según el informe de la Comisión de la Verdad, hubieren participado en graves hechos de violencia ocurridos desde el 1° de enero de 1980. La anterior disposición fue derogada mediante la Ley de Amnistía General para la Consolidación de la Paz, aprobada el 20 de marzo de 1993 –5 días después de haberse conocido el informe de la Comisión de la Verdad. 3.- La Asamblea Legislativa no esta habilitada para decretar amnistías irrestrictas, absolutas e incondicionales, desconociendo las obligaciones constitucionales e internacionales que tienen los Estados en lo relativo a la protección de los derechos fundamentales, de investigar, identificar a los responsables materiales e intelectuales, y sancionarlos conforme a su derecho interno; desconociendo, además, el deber de reparar integralmente a las víctimas de crímenes de lesa humanidad y crímenes de guerra constitutivos de graves violaciones al Derecho Internacional Humanitario. Análisis: Los crímenes de lesa humanidad son de carácter imprescriptible según el derecho internacional, por lo que no pueden oponerse medidas de orden interno, tanto legislativas como de otro carácter. Son el resultado de lineamientos y órdenes emanados de un aparato organizado de poder, y donde es claramente visible la jerarquía, el mando y el funcionamiento automático de dichas estructuras armadas. En tal sentido, los autores materiales o directos generalmente actuaron bajo la dirección de los jefes máximos de las estructuras militares, paramilitares y guerrilleras a las cuales pertenecían. 4.- Los puntos declarados inconstitucionales quedan expulsados del ordenamiento jurídico salvadoreño. Análisis: No podrán ser aplicadas por ninguna autoridad administrativa o judicial, ni ser invocadas a su favor por ningún particular o servidor público, ni continuar produciendo efectos en diligencias, procedimientos, procesos o actuaciones. 5.- La amnistía sigue siendo aplicable y continuará favoreciendo a quienes no hayan participado en hechos que constituyan crímenes de lesa humanidad y crímenes de guerra constitutivos de graves violaciones. Análisis: Los crímenes cometidos por ambas partes bajo el amparo de un aparato organizado de poder conforme a las características enunciadas en la presente sentencia, sin que ello signifique la no responsabilidad penal del ejecutor –como autor directo o coautor– ni tampoco de aquellos que dieron las órdenes –como autores mediatos–. 6.- La Ley de Amnistía ha constituido un obstáculo procesal para la investigación, el juzgamiento, la condena o la ejecución de la pena de los responsables de los hechos que la Constitución y el derecho internacional prohíbe amnistiar. Análisis: No podrá invocarse el tiempo de vigencia de tales disposiciones como pretexto para entorpecer, demorar o negar el ejercicio efectivo e inmediato de los derechos reconocidos en las normas constitucionales e internacionales analizadas en esta sentencia. 7.- Los hechos excluidos de la amnistía tras la finalización del conflicto armado, son los casos contenidos en el Informe de la Comisión de la Verdad. Análisis: Aquellos otros de igual o mayor gravedad y trascendencia, que pudieran ser imputados a ambas partes, y que fueran objeto de investigación y enjuiciamiento por las autoridades competentes, todos los cuales, por los efectos de la presente sentencia y por la gravedad de los mismos, no han prescrito. Esta situación de impunidad debe tener un fin y la sociedad debe luchar contra ella, por el bien de la democracia y la reconciliación. La resolución que recientemente emitió el Procurador para la Defensa de los Derechos Humanos, David Morales, sobre el asesinato de Roque Dalton el 10 de mayo de 1975, en San Salvador, vuelve a poner en un relieve inmensamente palpable, el caso de la impunidad prevaleciente no sólo en el caso del intelectual, sino el de todo un universo de personas que fueron víctimas de atrocidades y arbitrariedades antes y durante la guerra civil. – Contra Roque Dalton se cometió un delito de ejecución extrajudicial, que es imprescriptible en el marco de una grave violación a los derechos humanos. La familia ha demandado al Estado ante la Comisión Interamericana de Derechos Humanos, alegando que hay “crimen de lesa humanidad”. Sin embargo, el Estado Salvadoreño, a través de la Fiscalía y su órgano de justicia, no han actuado como es debido para investigar el caso, procesar a los responsables, sancionarlos y ordenar una reparación por el crimen cometido. – La otra situación importante es el llamado que el procurador Morales hace a los victimarios para que reconozcan el delito que cometieron, que pidan perdón a la sociedad y entreguen o/y ayuden a localizar los restos mortales de Roque Dalton para que sean entregados a la familia. – Finalmente, el procurador envió su resolución a la CIDH, así como a otros relatores y organismos de las Naciones Unidas (ONU), para que estén vigilantes y conscientes de lo que ocurre en El Salvador, no sólo en el caso de Roque Dalton, sino en casi todos los que sufrieron tortura, asesinatos, prisiones arbitrarias, masacres y desapariciones. El 22 de mayo de 1979, Varias compañeras y compañeros inician una marcha para llevar alimentos a quienes mantenían la toma de la embajada de Venezuela exigiendo la libertad de compañeros que habían sido capturados. La marcha fue reprimida ha balazos por los cuerpos represivos del General Carlos Humberto Romero, resultando 15 estudiantes asesinado. “En la mañana me levanté y fui al local del FUR-30 en la UCA. Ahí me habían citado a las 8:00 a.m. y, aunque yo no sabía a qué iba, iba dispuesta a participar en la actividad. Íbamos dos del UR-19, uno del FUR-30 y tres del MERS. El único que no era estudiante era un compañero de la Unión de Pobladores de Tugurios (UPT). De la UCA todos abordamos taxis diferentes. Aún no sabíamos a dónde íbamos, creo que me dijeron en el taxi que íbamos a tomar la Embajada de Venezuela. No dudábamos porque teníamos la utopía de vivir en una sociedad justa. Este sábado 12 de marzo con una multitudinaria marcha desde Aguilares hasta el Paisnal recordamos la vida y obra del Padre Rutilio Grande,quién junto con sus 2 acompañantes campesinos Nelson Rutilio Lemus y Manuel Solórzano hace 39 años en ese trayecto fueron emboscados y acribillados por un escuadrón de la criminal Guardia Nacional. En 2 envíos les regalo la biografía de ese impulsor de la Teología de Liberación en El Salvador y las fotos que pude tomar durante esta conmemoración que brillaba por la presencia de mucha juventud no solamente salvadoreña, sino también de Honduras, Nicaragua, Guatemala, Costa Rica y Panamá. Y claro: Habíamos también much@s que tenemos juventud acumulada. A diplomatic document shows that Pacific Rim lied to the tribunal about the time in which it decided to initiate the lawsuit against El Salvador before the World Bank. The ICSID tribunal could re-open the case, after having already taken an interim decision. An official US government document, sent by the then American Ambassador in El Salvador Charles Glazer, and referred to the Department of State in December 2007, constitutes new evidence for the defense of the Republic, which is in conflict with Pacific Rim mining company before the International Centre for the Settlement of Investment Disputes, ICSID. The defense wants the tribunal of the World Bank to re-consider the interim verdict that it reached in June 2012.The document was declassified in late September this year, after a request made by the firm Foley Hoag under the Transparency and Freedom of Information of Law of the United States. The firm obtained the information last week and proceeded to prepare a motion that has already been introduced to the tribunal composed of three arbitrators. En el Clarín de este Domingo hay una pequeña nota de Gustavo Sierra con el título de “Las maras desangran El Salvador”. (23 Agosto 2015, p. 32) En ella se habla de la ola de violencia que sacude a ese país centroamericano: según el autor en tres días “murieron 125 personas en los enfrentamientos entre los pandilleros y con la policía o el ejército.” La nota abunda en otros detalles: la fenomenal tasa de homicidios en El Salvador actual: 90 por cada 100.000 habitantes. A efectos comparativos digamos que según las cifras producidas por la Oficina de las Naciones Unidas contra la Droga y el Delito para el año 2012, la tasa para Estados Unidos era de 4.8; 5.5 para Argentina; Brasil 21.8 y Honduras 66.5. En ese mismo año, la tasa para El Salvador era de 41.2, siempre sobre 100.000 habitantes. Es decir que una tasa ya de por sí muy elevada más que se duplicó en menos de tres años y, especialmente, en los últimos meses. Luis Parada’s office is just four blocks from the White House, in the heart of K Street, Washington’s lobbying row – a stretch of steel and glass buildings once dubbed the “road to riches”, when influence-peddling became an American growth industry. Parada, a soft-spoken 55-year-old from El Salvador, is one of a handful of lawyers in the world who specialize in defending sovereign states against lawsuits lodged by multinational corporations. He is the lawyer for the defense in an obscure but increasingly powerful field of international law – where foreign investors can sue governments in a network of tribunals for billions of dollars. Muchos hemos escuchados de una ciudad mística hecha de oro, buscada por inglés y españoles, muchos murieron en el intento para encontrar un mito inexistente, la sangre corrió por el oro, que jamás se encontró. En El Salvador, Cabañas, San Isidro, también existe un Dorado que guarda aquel material buscado por los alquimistas. El yugo español arrebato a las américas suficiente oro para hacer su propio imperio, pero las empresa internacional-OCEANA GOLD (Antes PACIFIC RIM) junto a la Fundación El Dorado buscan a toda costa llegar a las fauces del cerro El Dorado, para extraer sus últimos minerales. Es solamente oro que lo aprovechen, pensaría cualquiera que cree en el crecimiento monetario, pero los habitantes de Cabañas y ambientalista conocen que para la limpieza del oro y la plata, es necesario caudales de agua, lo que significa contaminar los mantos acuíferos con arsénico y cianuro, afectando el recurso hídrico. El Dorado de los siglos XVI y XVII se llevó en sus palmas vidas de personas que deseaban encontrar aquella ciudad perdida. En la actualidad nuestro Dorado también cobro vidas pero en viceversa, ya que los protectores de la ecología han muerto, los luchadores contra la minería han sido asesinados por el deseo de aquellos que buscan la riqueza, tal es el caso de Marcelo Rivera integrante de los ambientalistas que se oponían a la minería. The smallest Central American country of El Salvador is sitting on gold, and that spells trouble. A foreign mining company, Pacific Rim, wants that gold, but El Salvador has put a halt to those mining expeditions citing environmental concerns. In true David versus Goliath fashion, Pacific Rim is so unhappy that the company is intimidating the country with a $315-million claim. ....... and Take Action! Sign and Share Petition here! The organizations below hereby express our dismay at the murder of another environmentalist, member of Environmental Committee of Cabañas, Juan Francisco Duran Ayala. We are deeply concerned about this murder as it indicates a trend of organized persecution against environmental activists in El Salvador. For several years members of environmental organizations have publicly denounced harassment and threats against their lives. Unfortunately, the death of Juan Francisco Duran Ayala follows the death of other activists of the same organization: Dora Alicia Recinos, who was eight months pregnant before she was assassinated on December 26, 2009; Ramiro Rivera, who was murdered during a military style ambush on December 20th 2009 and Marcelo Rivera, who was kidnapped, tortured and murdered in June 2009. None of these murders have been properly prosecuted. There is evidence that the escalation of violent attacks against environmentalists is related to the presence of the foreign mining corporations in El Salvador. For years, these corporations have fostered a climate of conflict and social division in communities located in the department of Cabañas, and in the Salvadoran society in general, in order to obtain political and institutional support for their mineral exploitation projects. 1. On the President of the Republic of El Salvador, Mauricio Funes, the Attorney General, Romeo Barahona and the Minister of Public Security, Manuel Melgar, to ensure these crimes are investigated and that safety and peace return for all environmental activists who seek to protect the fragile ecology of the country. 2. On the Minister of Economy, Hector Dada Hirezi, and the Minister of the Environment, Herman Rosa Chavez, to declare an immediate cease of all metallic mining activity in El Salvador. 3. On the members of the Legislative Assembly to approve the mining legislation introduced by the National Roundtable Against Mining in El Salvador. This legislation prohibits metallic mining and regulates non-metallic mining exploitation. 4. On the mining companies to withdraw their operation from El Salvador. In particular we call upon Pacific Rim to cease its demand for compensation against the government of El Salvador under the CAFTA-DR arbitration rules. 5. On all international solidarity and Salvadorean Diaspora organizations to demand justice for environmental activists murdered in El Salvador. Finally we would like to express our solidarity with the family of Juan Francisco Duran Ayala and all those who are under threat of death for defending the environment. We hope the rule of law will prevail and will ensure just prosecution and punishment for the intellectual and material authors of these crimes. deportation of Jose Figueroa, who for humanitarian reasons had to leave El Salvador because of his struggle against the repressive military dictatorship, during the armed conflict. The Canadian state, recognized for its respect and promotion of Human Rights, welcomed José into Canada to safeguard his life. Now however, surprisingly after 13 years, the Canadian government wants to deport him for the same reason they took him in, contrary to international norms and Canadian laws. José, his wife and his three children, one with autism, have lived in Langley, BC, for the past 13 years. Their children are Canadian citizens and have lived their whole life in Canada; it would be a tragedy for them to be taken from their family and their country just because the government does not understand their history. We believe that the Canadian government has taken a wrong position due to an inaccurate view of who Jose is, and of the current policy of El Salvador. 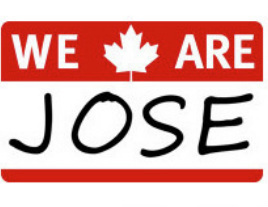 We are ordinary citizens who believe that Jose is as Canadian as any of us, and we call upon the Canadian government to rectify this injustice. Finally arriving in Ottawa, Jose Figueroa will try to deliver a petition to Prime Minister Stephen Harper to rectify this injustice. We call upon all groups of Canadian Civil Society, Latino Community, Trade Unions, Students, Universities, Academics, Churches, NGOs and all who wish to support this noble cause, which far from being a struggle of a single migrant, is a struggle for all migrants, Canadians and non-Canadians! Support of the campaign WE ARE JOSE via social networks: FB, Twitter, Websites, mailing, etc. 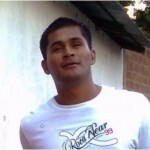 And all forms and expressions that help in the promotion and dissemination of the Campaign JOSE ARE WE TOUR. We appreciate your solidarity, suggestions and ideas are welcome! Vancouver, January 2nd, 2011. People from all walks of life and community-based organizations are joining forces to reverse the deportation order against José Figueroa and his family and are making a call to all to join the WE ARE JOSE campaign. Several initiatives are being organized for the WE ARE JOSE Campaign held across several Canadians cities on January 16th, 2011. Visit for more information.